What Makes Certain Wines So Expensive? When you go for a dinner and you have to choose the wine, I bet that you wonder why one bottle of wine costs Rp. 500,000, while another is Rp. 20,000,000. Let’s take an example in Chateau Pibran and Chateau Mouton Rothschild, both stemming from the Pauillac area in Bordeaux, France. There are many factors affecting price of a single bottle of wine. Some wine makers make better wines than others for the pure fact that they have better wine-making equipment or that there is a longer and richer history behind their wine. So let us get into the details of the wine itself. Wine is perceived as being made from nature and aged in the cellar. It is then sold by professionals, such as Sommeliers, with the help of the press and famous wine gurus like Mr. Parker or Mr. Jameson. When you go for a dinner and you have to choose the wine, I bet that you wonder why one bottle of wine costs Rp. 500,000, while another is Rp. 20,000,000. Let’s take an example in Chateau Pibran and Chateau Mouton Rothschild, both stemming from the Pauillac area in Bordeaux, France. There are many factors affecting price of a single bottle of wine. Some wine makers make better wines than others for the pure fact that they have better wine-making equipment or that there is a longer and richer history behind their wine. So let us get into the details of the wine itself. Wine is perceived as being made from nature and aged in the cellar. It is then sold by professionals, such as Sommeliers, with the help of the press and famous wine gurus like Mr. Parker or Mr. Jameson. How old are the vines? The older the vines, the more minerals they get from the soil, as the roots grow very deep and therefore the wine taste fills the mouth better as it lingers longer. Chateau Pibran has vines with many grapes and therefore the harvest yield is higher. Chateau Pibran produces 60 000 bottles on 10 hectares. 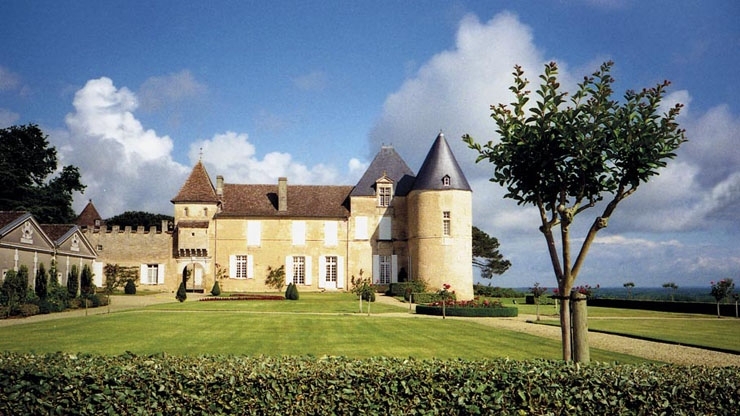 Chateau Mouton Rothschild produces substantially more: 276 000 bottles on 75 hectares. Another interesting fact is that one grape hanging from a vine compared to many grapes, makes for a very rich wine as the minerals from the soil are not shared with other grapes on that vine. How was the harvest year and how was it handled? If we refer to 1993, it was not a very good year for wines in general in Bordeaux. Upon saying that, Mouton Rothschild from that year, has a rating of around 90 points in their class of Premier Grand Cru Classe, whereas Chateau Pibran is below 80 points in their class of Cru Bourgeois. The reason for this is that it was a wet period during harvest however only the premium wine producing Chateaux made good wine possibly because they had the manpower, while harvesting the grapes, to first sort by hand all leaves and foul grapes out of the harvest. What kind of tanks or/and wood cuvees is the wine made in? 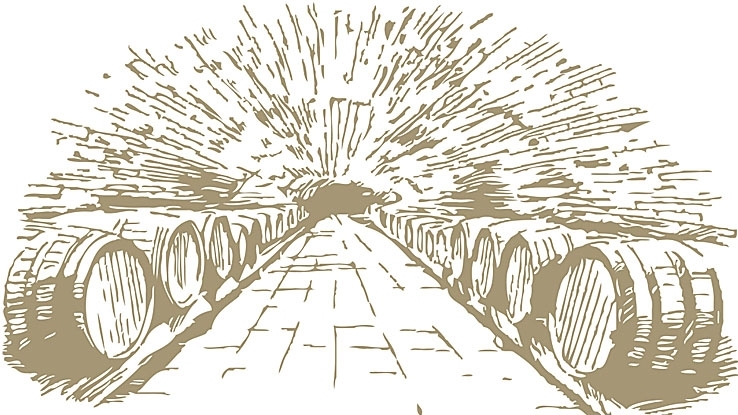 In high class wineries, wine is fermented in big expensive casks. Other costly equipment including a pneumatic press is also vital. Mouton Rothschild owns all of the necessary equipment. Is the wine stored in Barriques barrels? Barriques are very important in producing great wines as they add Tannin and more structure to the wine. This comes from the kind of wood; normally American or French Barriques (225 l) are used. Most wineries cannot afford the Barriques or do not know how to handle them in the right way. So Chateaux like Pibran buy 2nd hand barrels (one year old or older) where the cost is about 30% to 20% of the real price ($ 1000 for a new barrel). Another factor is the time until the wine is released. Chateau Mouton Rothschild releases their wines after 2 to 3 years. Chateau Pibran after 1 to 2 years. A good wine has history and Mouton Rothschild has a very long past as it is also connected to 2 other great Chateaux; Latour and Lafite. They also bear the title, “Premier Grand Cru Classee”. The Medoc first growths had emerged as such in the 18th century, by the early 19th century, classifications were being made covering a range of Medoc wines and some Graves wines. They were essentially based on market prices and were produced by courtiers and negociants as guides for their customers. It is the best classification in the world and has been reached only by Burgundy standards, all the other countries in the world could or/and cannot decide which wines should have Grand Cru classification as one winery thinks that it cannot be under classified. That does mean for a classified Chateau that quality must be of the standard of the Classification range. Bordeaux-Medoc has Five Crus, therefore: 6 Premiere Crus like Mouton Rothschild, 14 Second Crus like Cos-d’Estournel, and 14 third Crus like Chateau Kirwan, 10 Forth Crus like Chateau Beychevelle and 17 Fifth Crus like Chateau Cantemerle. As the Premiere Crus do spend a lot of money to keep their standards up so do the others too and sometimes the price of a fifth Crus can reach the price of a Premiere Cru. Finally I would like to say that about 20% to 40% of the wine list prices are the right price for that particular bottle of wine. The 80% to 60% the wine has earned by consistency over centuries and the wine writers who do heave wines into the sky of wine heaven. It is with wine as it is with cars, if you can afford a Porsche you buy one. So if you can afford a Sori Tildin from Senior Gaja you buy one.